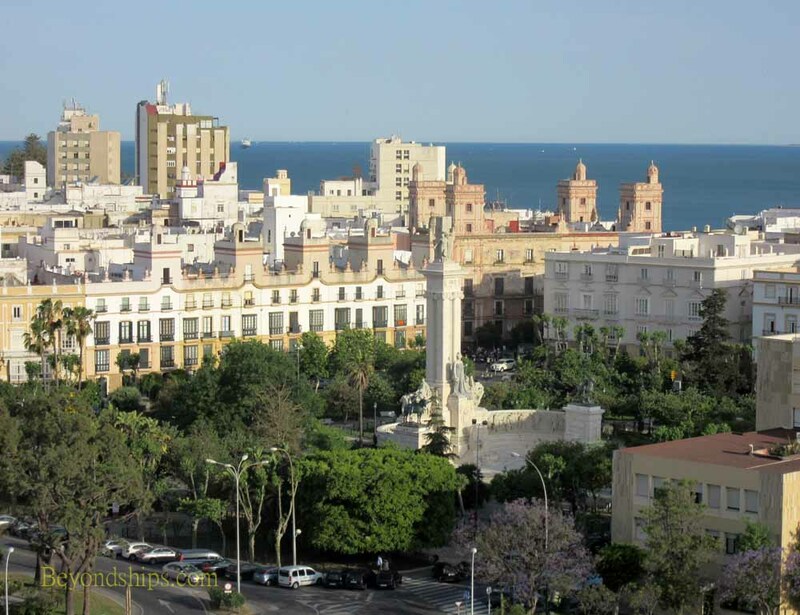 The old city of Cadiz lies just outside the gates of the cruise port. It is marked by narrow streets and wide plazas. There are shops and cafes. The following are some of its landmarks. 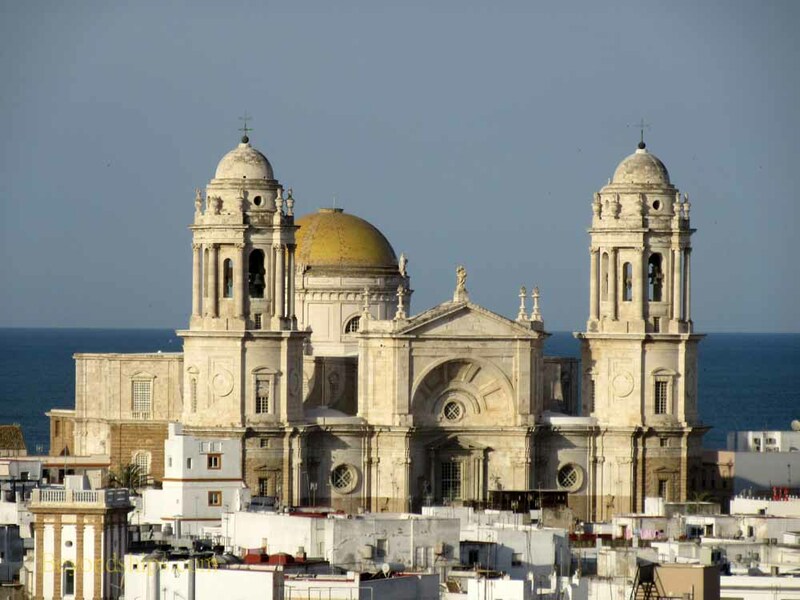 Cadiz's most famous landmark is the Cadiz Cathedral. 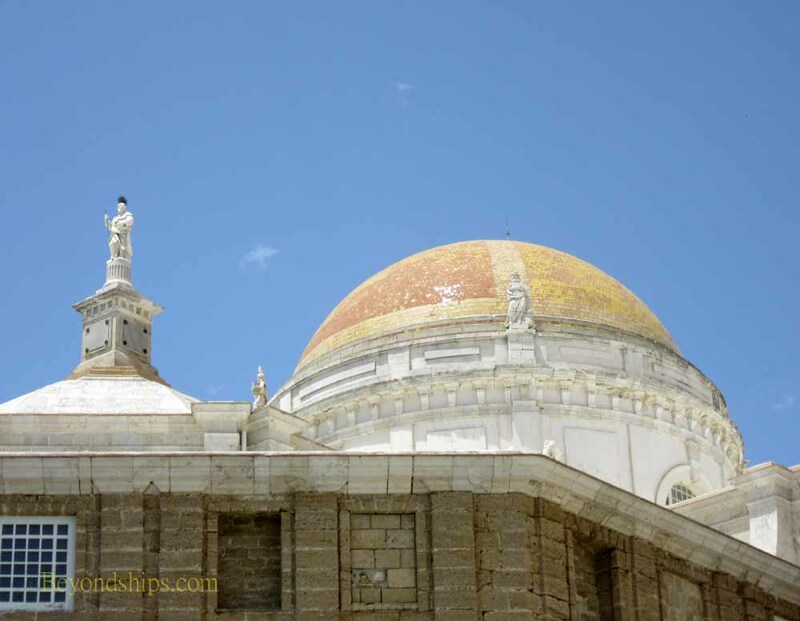 Built on the site of an earlier cathedral, it was begun in 1776 but took 116 years. 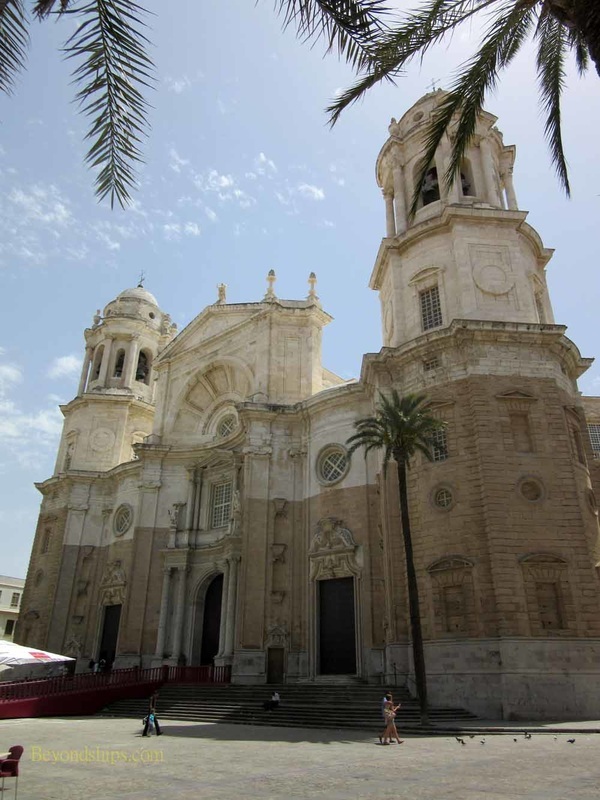 The cathedral is largely in the baroque style. 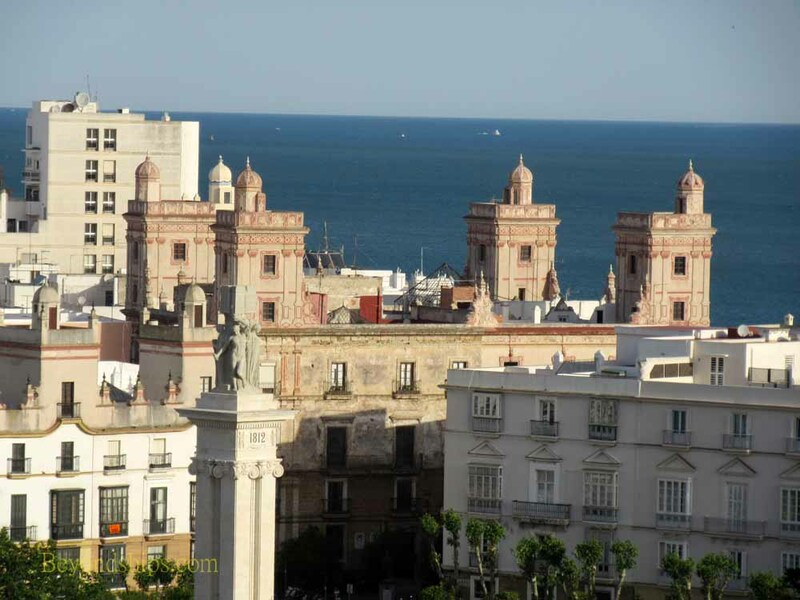 There is a panoramic view over the city from its towers. 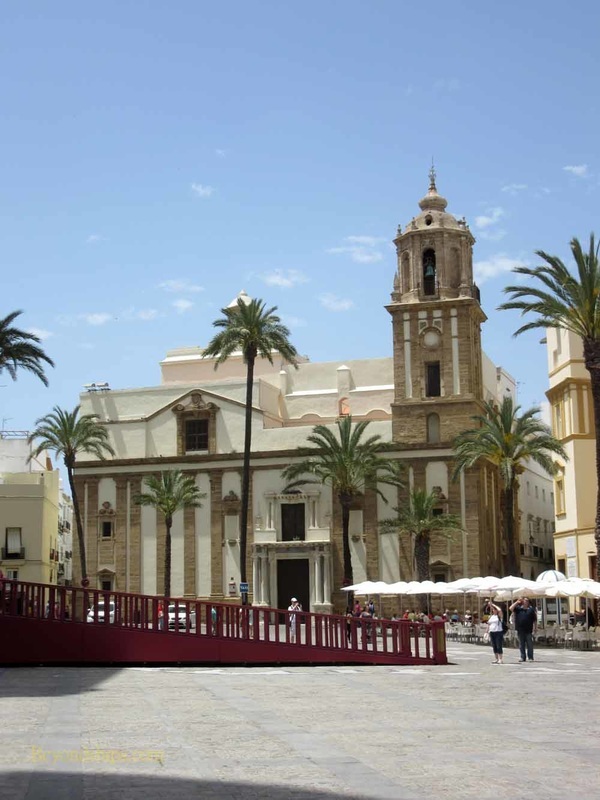 Also in the Palaza de la Cathedral is the Convent of Santo Domingo (left). 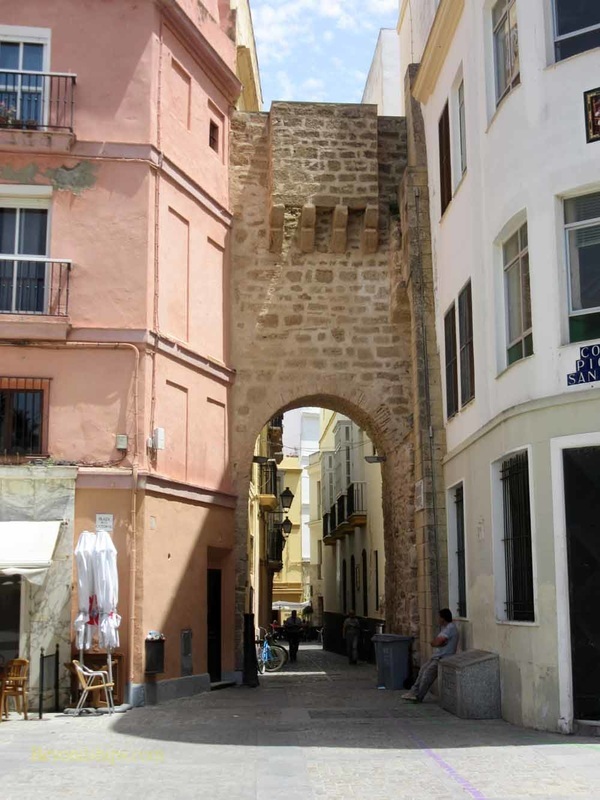 Nearby is El Arco de los Blancos (below), which dates from the 14th century. It is the gate to the Populo district. The Plaza de San Juan is a tree-shaded wide plaza. 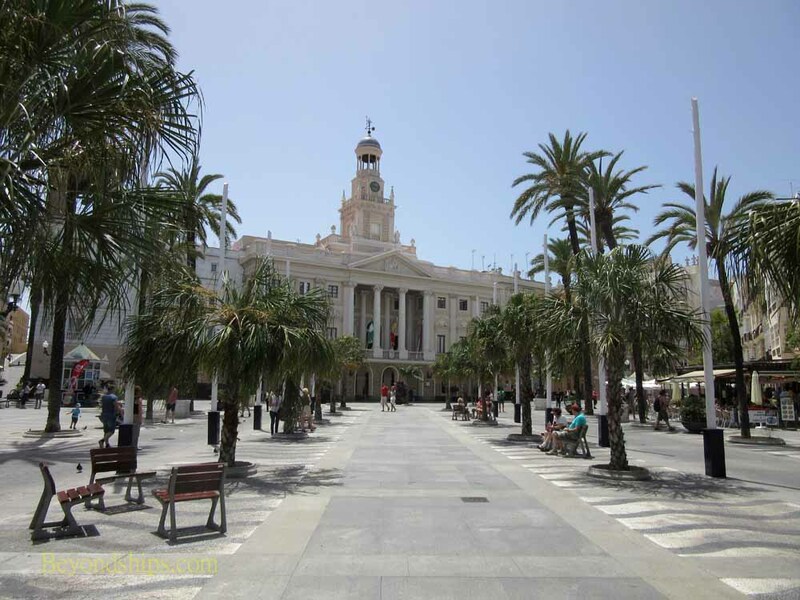 Its dominate landmark is the Ayuntamiento (old town hall). The Plaza de Espana was created in the 20th century for the 100th anniversary of the Constitution of 1812. However, it was not completed until 1929. 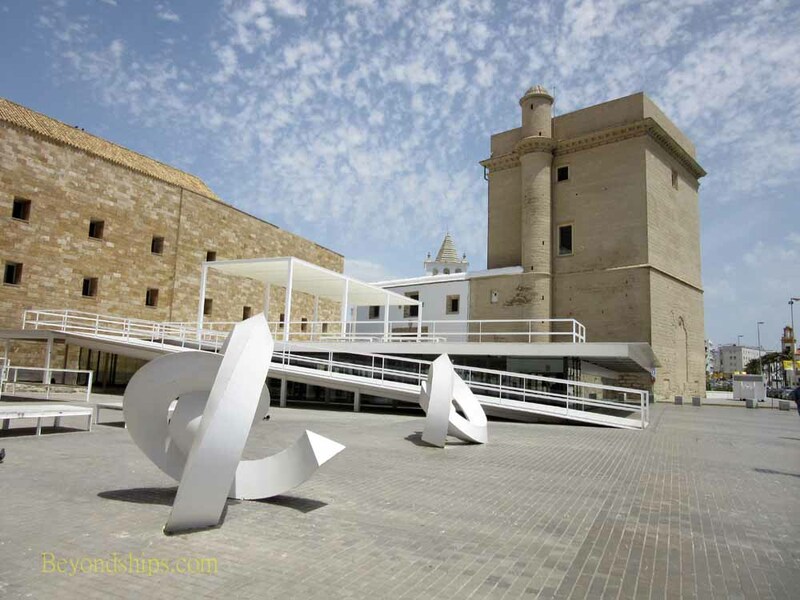 In the center of the Plaza is a huge monument to the Constitution of 1812 designed by architect Modesto Lopez Otero and sculptor Aniceto Marinas. The Plaza San Antonio is where the Constitution of 1812 was proclaimed. 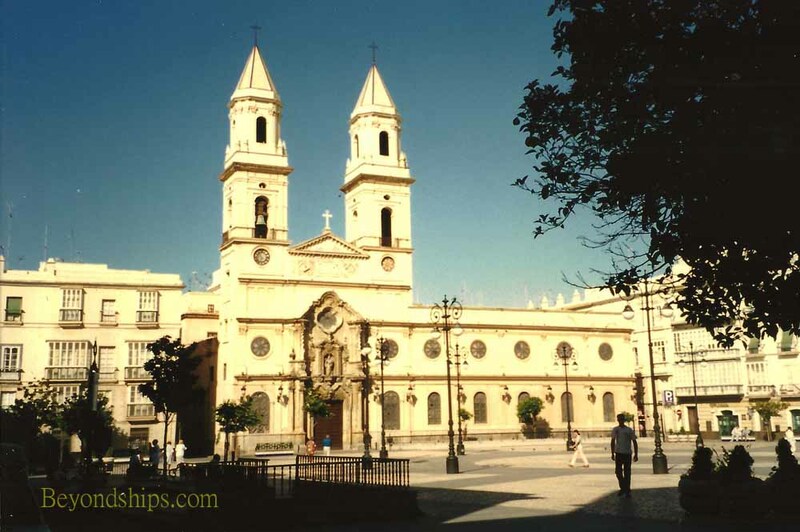 It contains a number of neo-classical mansions and the Church of San Antonio, which dates from the 17th century. 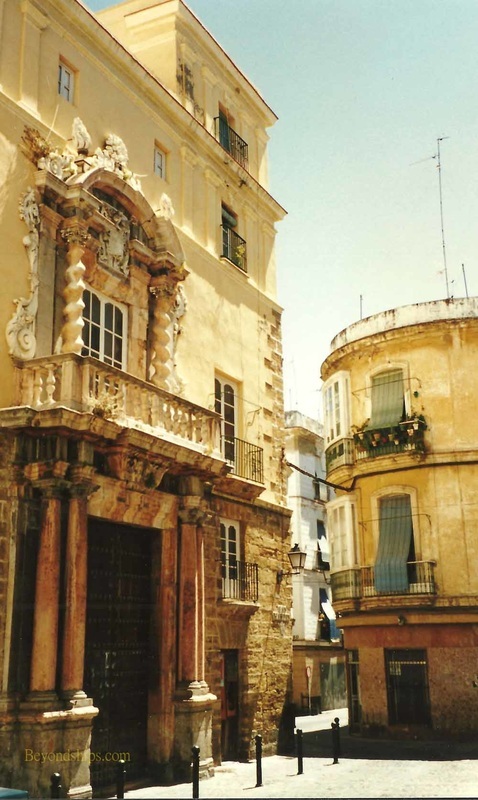 The Admiral's House (right) was built in 1690 for an admiral of the Spanish treasure fleet. It is ornate and luxurious, covered in red and white marble. The House of Four Towers (below) was built between 1736 and 1745 by a Syrian trader. Done with baroque elements, it incorporates together four separate houses. Each of the houses overlooks a courtyard. The Casa del Obispo (right) is located behind the Cathedral. It includes some 1,500 square meters of glass walkways that take visitors over archaeological excavations that include a Phoenician funerary complex, a Roman temple and a mosque.